Which commercial locksmith in Spring Tx do the local residents trust for all their commercial locksmith needs? The answer is FM1960 Locksmith. For years now, we have been successfully serving the commercial locksmith needs of Spring TX. So, whatever be your commercial locksmith needs, just remember that we are always there for you. FM 1960 Locksmith in Spring TX understands the needs of businesses and other organizations for security. We provide a range of services to meet the unique needs of our commercial customers regardless of industry or size. Locksmith Services for all businesses. From small shops to medium businesses to large corporations, FM 1960 Locksmith offers many services and products to meet the ever-changing demands of the commercial world. We recognize that whether you own a retail shop, a warehouse or industrial corporation, your security needs are unique. You may require specialty locks to protect your inventory or equipment in a warehouse or you may want a surveillance system that can monitor the premises of your business. Many businesses are required to provide adequate security to meet federal, state or local regulations or even just the standards created by the industry. From hazardous materials to confidential customer information, many companies are responsible for ensuring unauthorized access doesn’t compromise the integrity of the company. FM 1960 Locksmith proudly services businesses throughout Spring TX , including the cities of Houston, Woodlands, Conro and Magnolia. No matter where you are located, we provide professional installation of the highest-quality commercial security equipment. We also offer 24-hour emergency service for those times when your system needs immediate repairs. Visit FM 1960 Locksmith and find the right system for you. From master lock systems to security cameras to access control, we have a variety of products for you to choose from. Our technicians provide professional installation of any system at your convenience. They are trained in the latest technology and come with years of experience and knowledge. We can set up a system just for one location or integrate your security between multiple locations. Not all locksmiths are able to meet the demands of commercial customers, but we are proud to say we offer vast experience in this realm to ensure superior customer satisfaction. We understand that there are times when you need access to locked doors or locked safes to be able to conduct your business. Perhaps a tenant changed locks without your knowledge and then left without warning. Maybe you purchased a building that has a door with no key. Regardless of the scenario, FM 1960 Locksmith can provide fast access with our professional lockout services. With a full range of tools and equipment on hand when we travel to a customer’s site, we can allow access in a matter of minutes without damaging the door or the lock. For those who are looking to upgrade their system, we carry a variety of security products and we’re knowledgeable about how they work to answer all of your questions. Not all locksmiths can provide efficient, professional service to commercial customers. As a BBB accredited company, FM 1960 Locksmith will not only meet your needs but will exceed your expectations. We back our service with a 100 percent guarantee so you can feel confident that you’re working with the best. 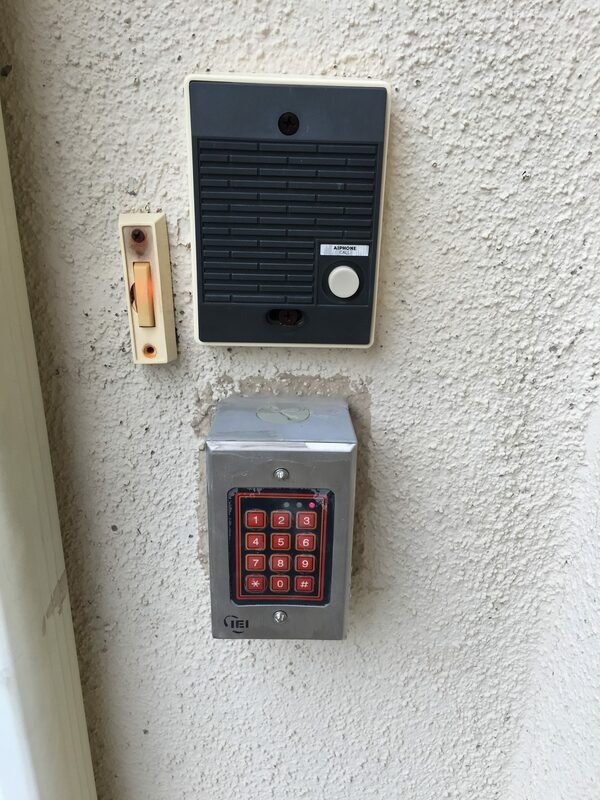 If you are a business in Orange County in need of the services of a commercial locksmith or a new security system, give FM 1960 Locksmith a call today. Count on us for all of your security needs. Unlike other commercial locksmith Orange County companies, we offer our customers a complete line of office locksmith services, including installation of master key systems, repair of commercial locks, replacement of lost keys, installation of file cabinet locks, and safe maintenance. In addition to the above-mentioned office locksmith services, we also provide 24 hour business lock out service, 24 hour emergency rekey service, and 24 hour lock repair service. We offer 24 hour commercial locksmith services – Yes, this is true. You can call us at any time of the day or night, and our commercial locksmith professional will be at your office in no time at all. • We offer a complete range of office locksmith services Our highly-trained and experienced locksmith experts are capable of resolving all types of commercial locksmith requirements. • Our commercial locksmith professionals are experts you can trust – We only employ the best locksmith professionals. All of our technicians go through rigorous professional etiquette training. As a result, our locksmith professionals are not only experts in their field, but also know how to conduct themselves in a professional and friendly manner.